Tidbits by TJ: Joe Pesci VS. Robbie Williams, Who Do You Think Won? Joe Pesci VS. Robbie Williams, Who Do You Think Won? Actor Joe Pesci threatened Robbie Williams with a golf club after one of the singer's friends blocked Pesci's driveway. According to tabloid reports, the 'Goodfellas' star is said to have become enraged after one of Robbie's friends parked their car in his driveway when he couldn't find space on the street. Robbie and Pesci are neighbours, in the Hollywood Hills. 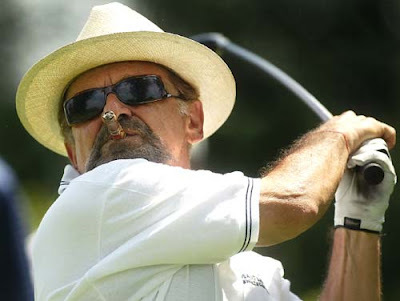 A source told the Mirror newspaper that after noticing the car, Pesci grabbed a golf club and approached the ''Angels' singer: "Which one of you mother***kers blocked my drive?" the actor shouted, says the source. "If you don't move in 30 seconds, I'm gonna smash your windscreen." The source continues: "At first, Robbie stood there smirking when Pesci bounded over waving a club. But he quickly realised the seriousness of the situation and ordered his pals to move their cars. "Robbie has never had any sort of dispute with his neighbours before and has now given his friends strict instructions to steer clear of Pesci's driveway." Robbie Williams has bought Joe Pesci a £170,000 Bentley - to make peace after their angry spat. The 'Angels' singer - who was reportedly left "terrified" by the actor's angry outburst after his friends blocked the actor's drive - has tried to heal the rift with the lavish gift. A source said: "Robbie moved to Los Angeles for a peaceful life and the thought of having a dispute with the neighbours doesn't appeal to him. He decided to splash his cash to show there are no hard feelings." 'Goodfellas' star Joe was enraged when Robbie's friends, who had gone to his Los Angeles home for a soccer match, parked in front of his drive. Joe, famous for playing violent and psychotic gangsters, threatened to start smashing windscreens with a golf club unless they were moved immediately. Robbie parked the brand new Bentley in Joe's driveway as a practical joke. A source revealed: "When Joe saw that his drive was blocked again, he wasn't happy. He rushed down to confront Robbie - but obviously calmed down when he realised that the car was a gift to him." In return, the legendary actor reportedly gave Robbie a box of film props.